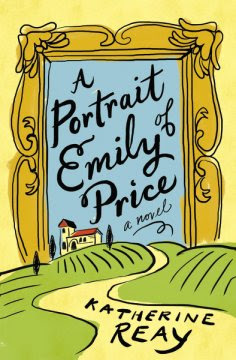 I chose this book to review because it is about a woman who does restoration for a living. Restoring a one hundred year old house, that piqued my interest. In the beginning, I trudged through it somewhat. I do not like things that are designed to manipulate me emotionally and this felt like that typical romance novel. Sad girl gets swept off of her feet by an Italian man and moves to Italy with him. As the story went on, I started to embrace it more. It became about family and how loving people in all of their imperfection is part of our beautiful story. Sometimes we get stuck in a textbook version of life and forget to love people through and in their messes. . . and ours. It's how we grow. I thought the end of the story was rich and powerful as it slowly revealed Jesus and forgiveness. Most of the story purposefully barely leads to church. Its a seeking and finding. Of course, Italy is lovely too. You can follow the family through truffle hunts, wine pairings, pasta making, and painting. I enjoyed reading how our tortured restorer became who she had wanted to be through vulnerability and allowing herself to hurt. Pain is often a great gift and gives grand capacity for great joy. Thank you to Thomas Nelson Publishers for graciously supplying this book for review.